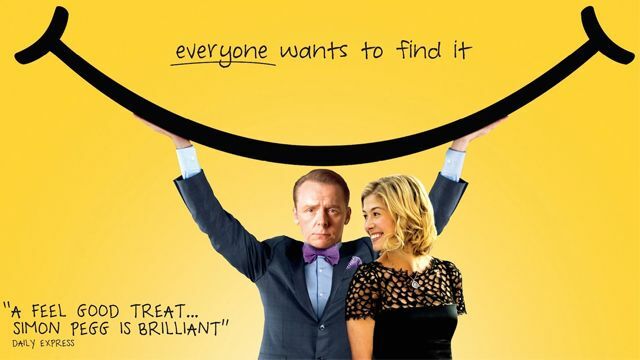 Based on François Lelord's phenomenally successful novel, "Hector and the Search for Happiness" sees actor Simon Pegg go beyond the comedy and genre roles for which he has become famous. Hector is living the contented and successful life of a London professional with a prospering career and caring girlfriend. But he still feels that there is something missing and he soon finds himself embarking on a journey of self-discovery. Travelling across the world he meets a plethora of strange characters – including an old flame and an arms dealer – and find himself in a number of incredible situations. As Hector continues on his journey, he begins to learn plenty of life lessons and fill those pieces which are missing from his life. Director Peter Chelsom carefully keeps the balance between light-hearted comedy and tear-jerking drama. With some clever ideas – including the use of animation to illustrate the more fantastical elements of Hector’s journey – and beautiful cinematography showing off the many stunning locations that Hector goes on in his travels, the film is consistently entertaining. The film's biggest asset is Pegg. Showing a knack for more serious drama than we’ve seen before, he carries the entire movie (indeed, he's in every scene) with a compelling performance.